Add this stunner to your historic sword collection today. 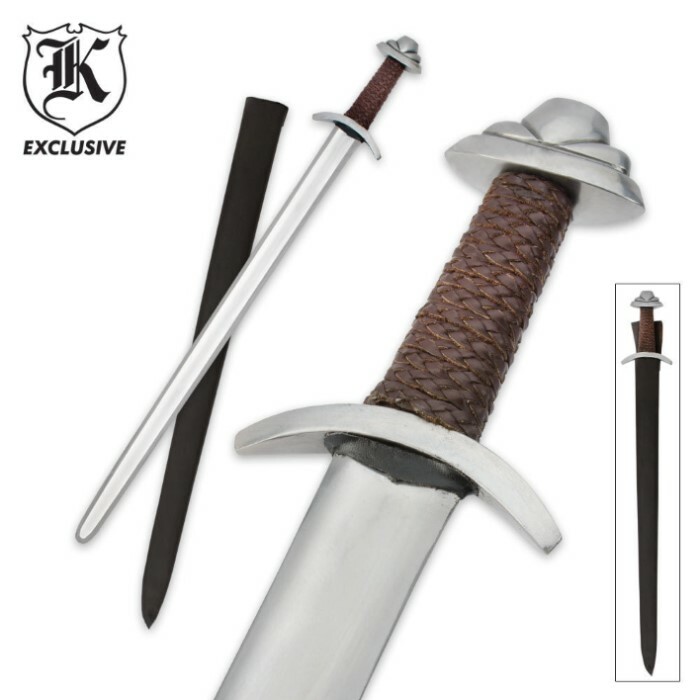 Our Renaissance Era Middle Ages short sword is modeled after the fancy dress swords of the era, featuring a heavy stainless steel blade with a mirror-polished finish. The oversized guard and pommel add an understated elegance to the handle, which is wrapped in braided leather. A matching scabbard houses the oversized blade. Measures 33.5” overall.